1. With microcomputer technology, the program can control the cutting schedule and cutting times with storage of up to 100 groups of data. 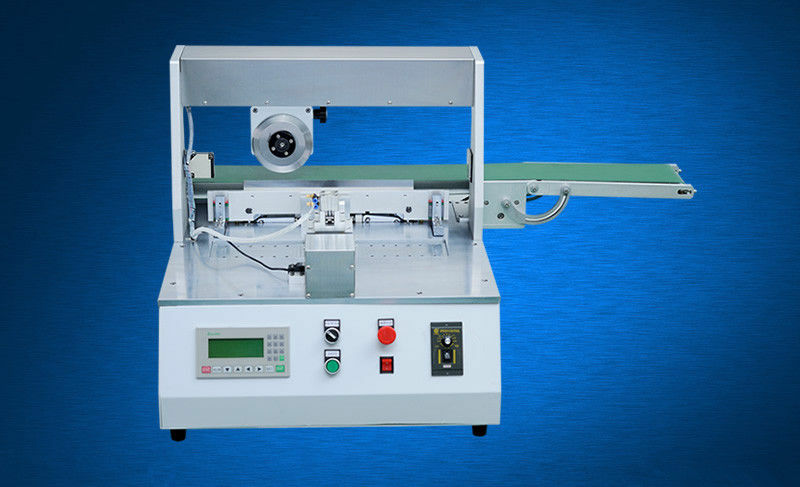 This machine is suitable for width from 58mm to 220mm of board. 2. The gap between the upper and lower blade is adjustable, from 0mm to 15mm. 3. The straight blade moves up and down, which is available to cut double-sided board. 4. The manual switch controls the cutting speed of 1 cut/s. 5. With safety device of Omron infrared light sensor, the machine stops operation when it senses the hand or foreign matter in the moving zone of the blade. 6. With step motor, the machine locks by itself and positioning accurately when in an energized state. 7. When the solder panel with many pieces of boards is separated, it’s easy to hurt the elements or the circuit. 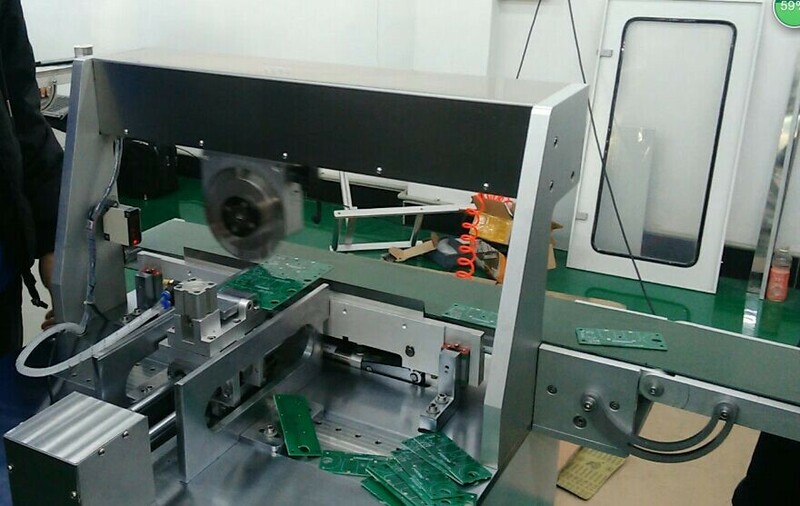 While this machine is available to avoid the damages and improve working efficiency and quality. 8. No need to feeding boards manually with high-tech device, there are reserved port for external robotic hand. 9. The productivity is visible due to the auto counter performance. 10. 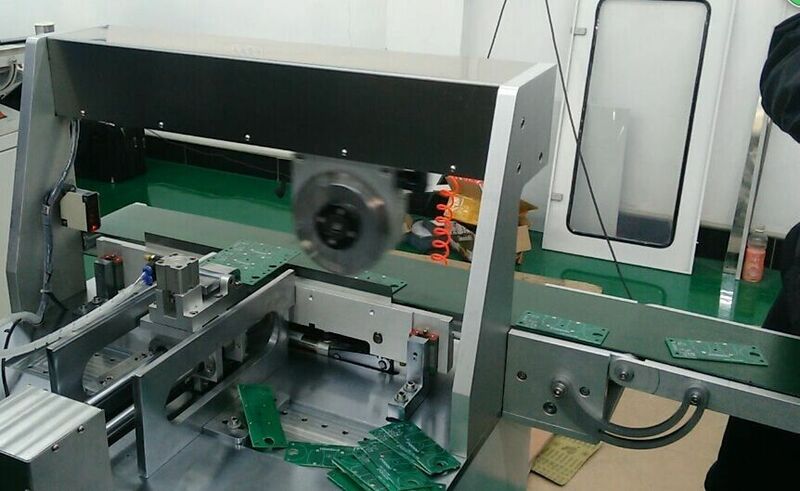 After cutting the pcb, the boards can be transferred directly to the inspection line through the conveyor belt. to cut the board with the pcb staying, thus the electronic elements won’t be damaged.